Taking a darker turn is the murky apparition, ‘Lenz’ that’s fuelled by the ominous, supernatural vocals of Mr Porter. Embracing the roots of its craft, ‘Human’ takes the form of a vintage amen weapon. It’s dancefloor friendly but doesn’t shy away from the oldskool atmospherics that elevates it to future-classic status. 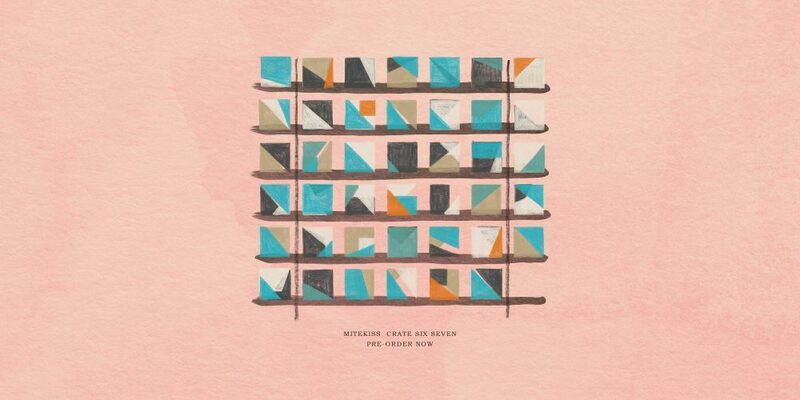 Mitekiss may have his trademark deep-liquid flair but ‘Crate Six Seven’ cements his versatility with stunning vocal tracks ‘Another Sad Song’ and ‘Viewpoint’, through to the curiously creative ‘Straw Man’. Collaborations with the likes of Emer Dineen, Mr Porter, Naibu and Emeliene Chouadossi highlight the breadth of styles within Mitekiss’s repertoire. With exciting live performance prospects on the horizon, this production paragon has exceeded all expectation with what is undoubtedly one of the finest D+B albums of the year.